Like I said yesterday, I had some friends over the other night and today's post was going to be a 'What I Wore' thing with my green Polo dress. I was going to do a cute little Polyvore thing and ramble about how much I love Polo dresses (I ramble a lot), so I was looking for pictures online. Then I came across a post of someone talking about them. THEY SAID POLO DRESSES WEREN'T COOL. WHAT?!?! I was appalled. I mean, when did I miss this news flash? They're not some sort of trendy thing that's odd and different: it's literally just a long Polo. And Polos are classic! I was so upset. I mean, I had worn my green Polo dress for my party the other night and wore it on the beach for our 'cute pictures', so I've been photographed in it several times (and we all know that you have to really love something to be photographed in it that many times). It's even in my cover photo on Facebook!!! Had I just been sitting around in a Polo dress, thinking I looked good, without anyone telling me that they're 'out'? Would I have to take down Instagram pictures because I was "so 2001", as this post had said? Look, I know that being 'out' and 'in' is one of those things people tell us to not worry about, but I felt like I had missed this big memo that Polo dresses really were completely 'out' and I was just embarrassing myself. These are the kinds of things that keep me up at night, guys. And you can't ask your mom about this sort of stuff, because she's going to tell me that I'd "look cute in a paper sack" (Am I right or am I right?). So I turned to my best friend, Kirby, who'll tell me the truth about this question that I had been internally battling: Are Polo dresses really out? She, of course, exclaimed, "I don't know, but I still like them!". Exactly what I had been thinking. Style freaks, we discussed the merits of these dresses we love so much. I mean, a Polo dress is a classic prep piece. No one ever gets mad at men for wearing collared shirts from Ralph Lauren; no one's ever said that those are out. Again, a Polo dress is just a long collared shirt. Feminine and casual and preppy and cute and comfortable: isn't that what we all look for in a clothing item? They look cute on everyone, from little girls (I know my mom made me wear them) to girls my age to moms. That's what classic means: they work for everyone and withstand trends. And it's really not fair to say that they're "so 2001" because I WAS 6 YEARS OLD in 2001. That's simply not fair to not let me enjoy this 'trend' (if it even is a trend). So then, I still struggled with whether or not I would blog about how much I love these dresses. And heck, I went for it. I'll shout it from the rooftops and tell everyone that I STILL LOVE POLO DRESSES. Maybe they're out, maybe they're not. But who cares?! And if they are indeed out, I'll bring them back in. I'll start it again, being early of the generation 10 years younger who'll try to do it in 2023, much like my generation is bringing back high-waisted pants everything. What else should we bring back? Scrunchies? Denim skirts? Tear-away pants? Limited Too? I'm starting a revolution, guys, because I'm proud of my green Polo dress. Trust me, they're coming back and you can all thank me later. PS- Tomorrow's post is about cream cheese garlic dip. It's a lot calmer. Cream cheese is always in. 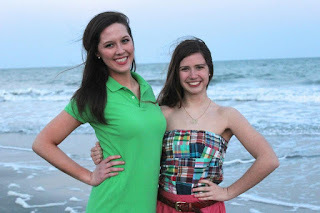 PSS- Happy first day of summer/Wear your Lilly day!!! I love this dress. I'll write more about it later. And I'm sorry it's a mirror pic. Everyone hates mirror pics. I still have a hot pink Polo dress and I wear it often! You're not alone on this trend! Your Lilly dress is so cute! Love the print. Love the dress! Can't wait to hear more about it! P.S.-- Be sure to check out my new blog,and be sure to follow!